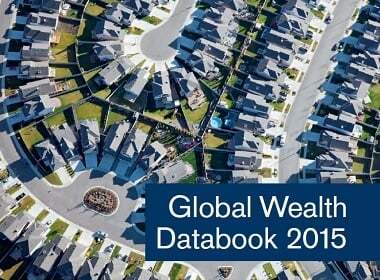 Ukraine has been rated as the poorest country in Europe by the bank Credit Suisse in its Global Wealth Databook 2015. Belarus and Moldova were rated as the second and third poorest countries in Europe respectively. All three countries were part of the former Soviet Union until its collapse in December 1991. 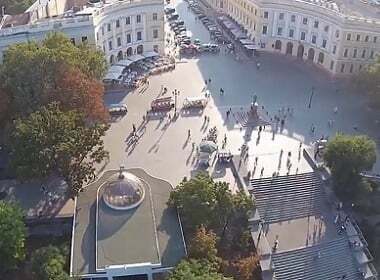 In 2015 the average capital of a Ukrainian adult is only $1437 (debt per adult $20), as compared to $1551 in Belarus (debt per adult $40), and $3104 in Moldova (debt per adult $18). By contrast, the average capital per adult in Russia was $11,726 (debt per adult $81). However, median numbers give a more reliable picture of the wealth distribution: In Russia this figure is $484 per grown up, and in Ukraine only $160, demonstrating how much of the country’s capital is concentrated in the hands of the elite. Ukraine lost 40.4% of wealth per adult in 2014-2015, leading the global list of countries where people lost the most value in terms of wealth per adult in just 1 year. Russia was the second on this list, having lost 38.3% of personal wealth per adult within 12 months. Value of both countries’ currencies, Russian rouble and Ukrainian hryvnia, plummeted in 2014-2015. The countries that gained the most wealth per adult for the last year are Hong Kong (6.7%), China (5.9%), and the USA (4.5%). Their currencies are connected to American dollar, which gained value globally in 2014-2015 (the report values are linked to USD). Ukrainians lost 40% of their personal wealth in 2014-2015. To give you some perspective: Even in Cambodia people are wealthier than in Ukraine in 2015: Financial wealth there is $984, non-financial wealth is $2,254. To compare, non-financial wealth in the USA in 2008 was 109,949 per adult; UK $139,893; Australia $192,264. The evaluation of Ukraine’s position in the world’s wealth ranking by Credit Suisse is “lower middle income”, as compared to Russia’s ranking as “upper middle income”. Ukraine also took #1 on the list with the change in market capitalization at 151.1%, followed by China. Earlier this year Kiev was named as the cheapest city in the world to live in. It has been experimentally proven that an adult can survive in Kiev living on only $50/month. This doesn’t surprise me with the war in Ukraine and all. But what does surprise me is the position of Belarus. I’ve had the impression they were doing quite well (compared to Ukraine before the war and Moldova). And what is the cause of all this? Bad government policies? Wide-spread corruption? And why is Russia doing much better? Is it because of the oil? Better policies? Inflation in Belarus was quite astounding in the past years. If you exchange USD $100 today, you will get… 1,725,500 (1 million 725 thousand 500) Belarusian Rubles. They are all millionaires. 🙂 Belarus used to do worse than Ukraine. It’s a very small country without extensive resources or even access to a sea. Russians used to do much better than what they have now, yes, because of oil. I think that this situation will change shortly. I have been in Ukraine several times, and I found that this country have much to offer for tourists and businessmen from close countrys in Europe. I agree it’s temporary. It’s a very unusual situation. Ukraine has a lot going for it. I have visited the Ukraine several times and I think the people are strong and resilient. Our current president has let our ally down and this has cost them much as evidenced by the loss of wealth and capital. I am embarrassed to say I am an American with how he has treated them. In 14 months we will have a new pro Ukrainian president. I plan on moving to Odessa for 2 years when that happens to help young entrepreneurs with the economic boom that is sure to follow. Ukraine is too great of a place for this to go on forever. You have to believe!!! Is the political situation in Ukraine stable? Are the people in Ukraine unsatisfied with the government? Would there be frequent riots on the streets between the government and protesters. Is it safe for tourist to just walk on the streets at such a period of time? If you are really interested, read some Ukrainian papers in English. And if you are on EM, we include a lot of current videos in newsletters (your email address should be valid). Its difficult to measure Ukraine’s financial wealth per adult as the vast majority of the economy is in the “shadow economy”. I have been to Mexico, Cambodia, and Ukraine. There are many wealthy people in Ukraine that hide their wealth and the streets in Maidan are filled with Mercedes, BMW’s, and Range Rovers.